Jumbo Foods is a growing food manufacturing and distribution company currently offering full service to thousands of satisfied customers in the contiguous 48 States, Alaska & Hawaii. We strive to maintain the highest quality and freshest product available. Our forty years of experience in the industry makes us highly qualified to meet the sandwich and snack food needs of our customers. Tuscan Sun is the name of our full service food division focusing on the Convenience Food and small grocery store market. 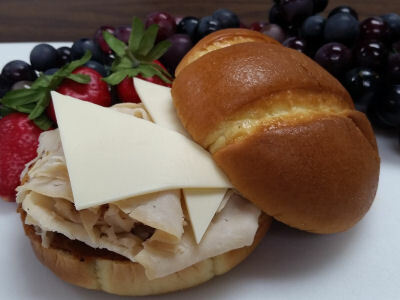 We feature a complete line of sandwiches guaranteed to please both your customers and your bottom line. © Copyright 2014 Jumbo Foods, Inc.